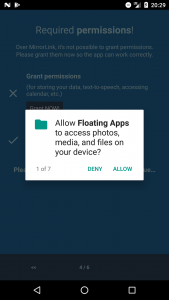 Thanks for buying Floating Apps for Auto! Let us guide you through the process of connecting it to your car and using it on the infotainment over MirrorLink technology. 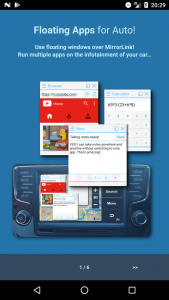 First, it’s essential that MirrorLink is supported both by your car and your phone. Second, you need some MirrorLink certified app to be installed. There are many of them like Glympse for Auto, RockScout, Škoda One App, Parkopedia or paid apps like Sygic Car Navigation or BringGo. You can also use any one you have already installed on your phone. The important thing is to have at least one certified app. 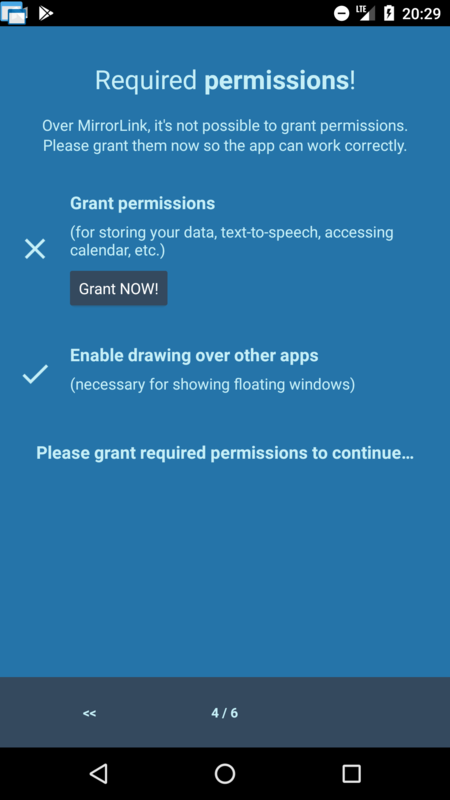 After downloading and installing Floating Apps for Auto, please be sure to complete initial tutorial and grant the app all required permissions. 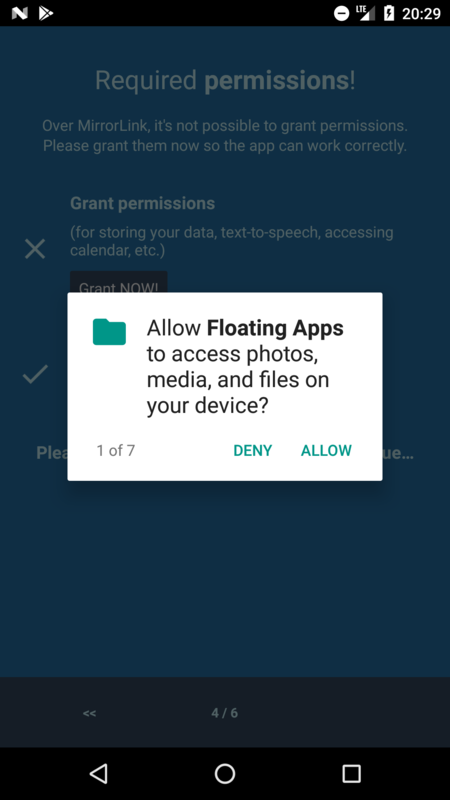 Unfortunately, it’s not possible to grant permissions when the phone is connected with MirrorLink (as the permission dialog is not shown on the infotainment’s screen) and for this reason, Floating Apps for Auto asks for all permissions when used for the first time. Also, you should be aware of warning and read it carefully. 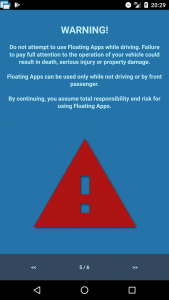 It’s not safe to use Floating Apps for Auto while driving! Please don’t do it. After finishing the tutorial, you should see a little icon to be floating over all other apps in the left top corner of your screen. 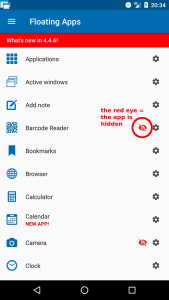 This is called the floating icon, and you will be able to access floating apps by taping it. It will be available on the infotainment’s screen and will be shown over the running certified app. In the main app, you can see a list of all available floating apps. All of them can be used in your car, but some are hidden from the floating icon by default because they don’t make much sense in the car. Be aware that some apps may contain functions that are not supported with MirrorLink like sharing into other apps, etc. Such apps contain information about it in their settings. 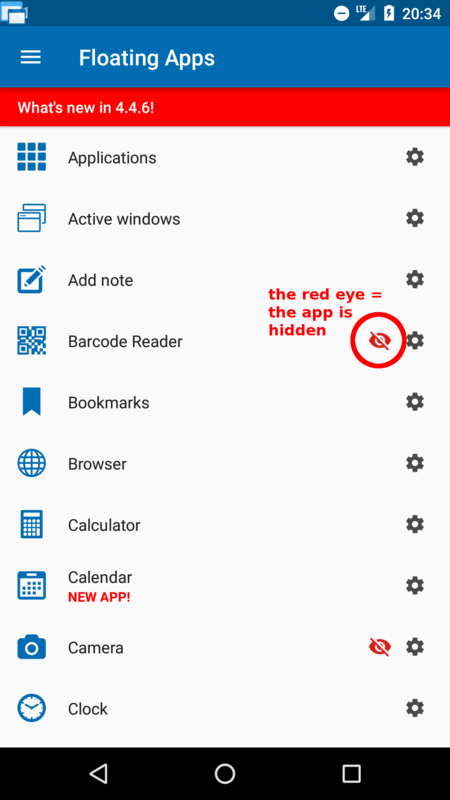 Floating Apps for Auto is not limited to MirrorLink only, and you can use any of available features including hidden ones on your phone too! 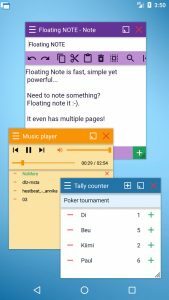 Floating Apps is normally used in phones and tablets, and Floating Apps for Auto is just a special version adapted for your car. If you like the multitasking, just use it anywhere and anytime – on your phone and in your car. 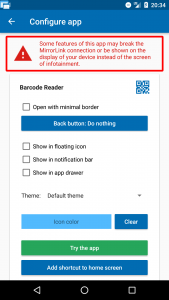 Floating Apps has a lot of features and settings, and we recommend you to explore Settings, Themes and Floating Menu to adapt the app for your needs. Now, you can connect your phone to your car with USB cable. On the infotainment select MirrorLink and start any certified app. If you don’t want to actually use it, you can start some lightweight one. We recommend Glympse for Auto. 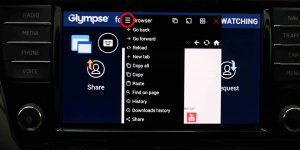 When the certified app finishes launching and is shown on the infotainment’s screen, you should also see the floating icon. Just tap the floating icon to access a list of floating apps and launch the desired one. It will be opened in the floating window and will be shown over the certified app. You can move it, resize it, minimize it or close it. You can also access extra features by opening the window menu by taping the icon in the top left corner of the window. There are useful features like saving current position and size of the window. You can launch more apps at the same time and arrange them on the infotainment’s screen as you need. 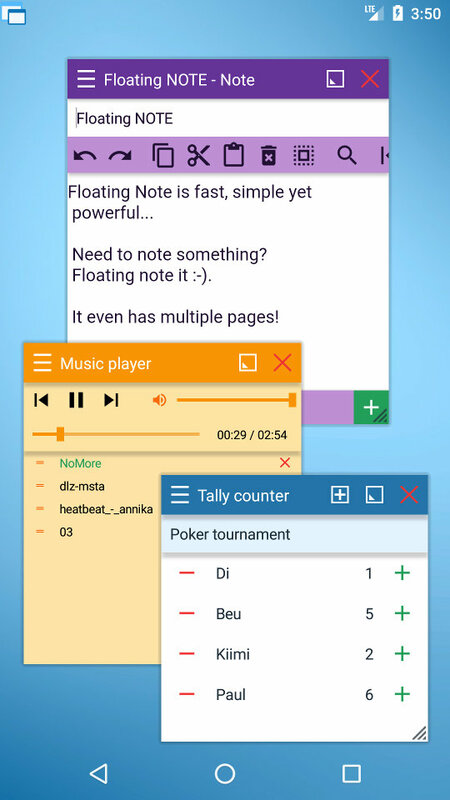 Now, you can use Floating Apps for Auto in your car! All these things sound great but many of these apps rely on having the keyboard available and on the majority of cars, the keyboard is automatically hidden when a car is moving. Well, Floating Apps for Auto comes with its own keyboard that can be opened anytime! 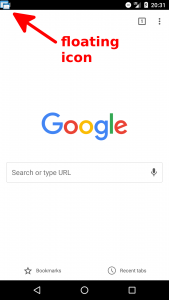 When there is some window with a text field opened, a floating keyboard icon is automatically shown. Just tap it to open the floating keyboard. 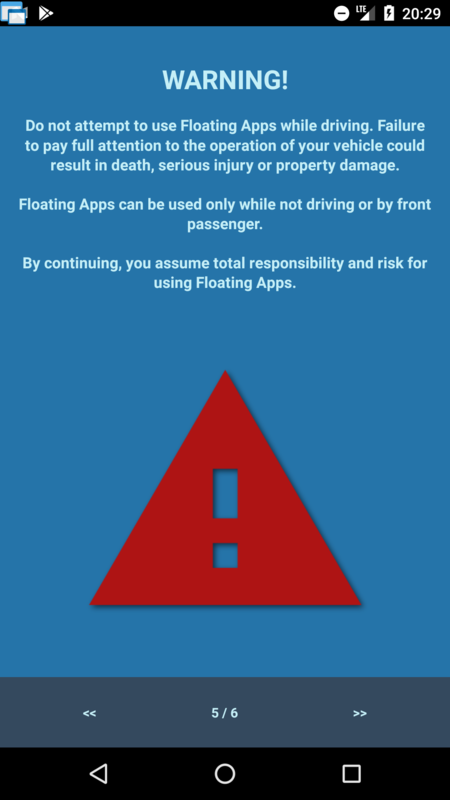 As you can see, there is nothing that could prevent you from using Floating Apps for Auto in your car! Enjoy the new dimension of the MirrorLink experience. Please note: This keyboard is a part of Floating Apps for Auto and it cannot be used with other apps. The app is supported and actively developed! We are working on more features, and hopefully, we will be able to launch Waze, Google Maps or other navigations in floating windows over MirrorLink too! It would be awesome; what do you think? Just wish us luck and stay in touch ;-). Previous: Previous post: How to configure different bubbles for floating apps? I would really like to have the Android e-mail client available as a floating apps. When I start up the e-mail client it crashes due to mirror link (not compatible). Hello, for help with MirrorLink, please contact our colleague via car.mirror.link@gmail.com. He’s expert on the topic! I have VW Tiguan AD1 2018 and the app doesn’t work. 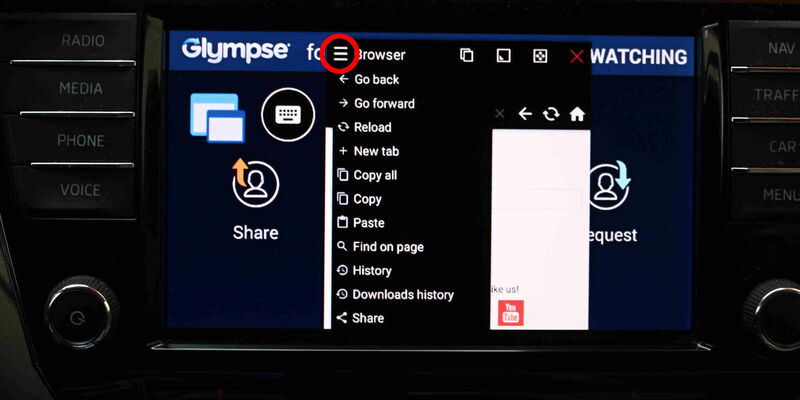 If the Floating App is run, is not possible to start the mirror link app on the car (tried with Glympse for Auto and LG MirroDrive) I must stop the Floating app on the phone for run mirror link on the car. I have Toyota Auris TS with Toyota Touch 2 (without navi), my cell phone is Samsung Galaxy A5 (Android 8.0). Please, can you tell if it will works? Hello, please can you contact our MirrorLink expert at car.mirror.link@gmail.com? 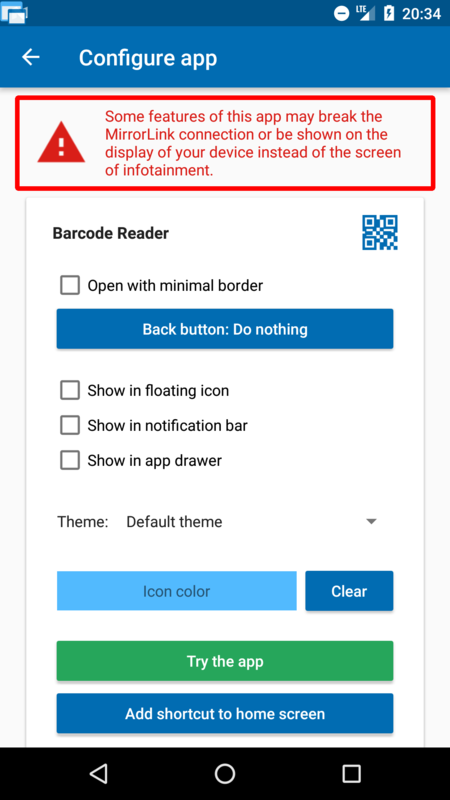 Our app is only compatible with MirrorLink. I’m not sure if RLink is a compatible technology. Please contact our MirrorLink expert at car.mirror.link@gmail.com for help and clarification. I have loaded Floating Apps on my Samsung S8 and it seems to be mirror linking to my Peugeot 2008 fine. 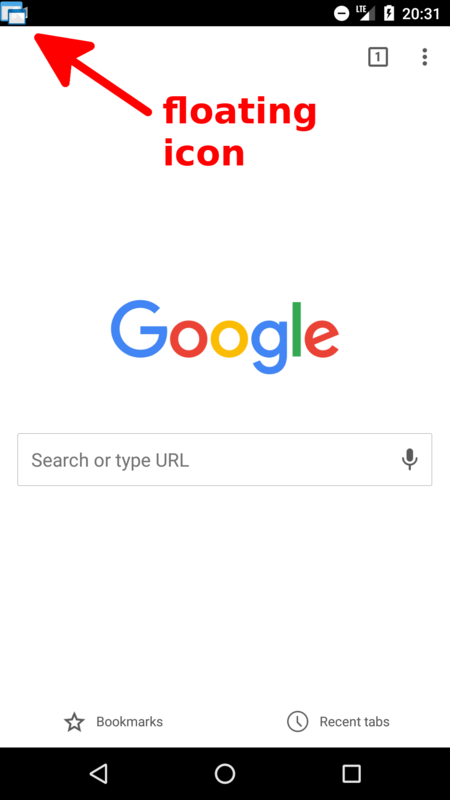 How do I go about connecting Google Drive or a similar free navigation app? I have a long journey to plan for this Saturday and it would be really useful to have an on screen navigation aid.